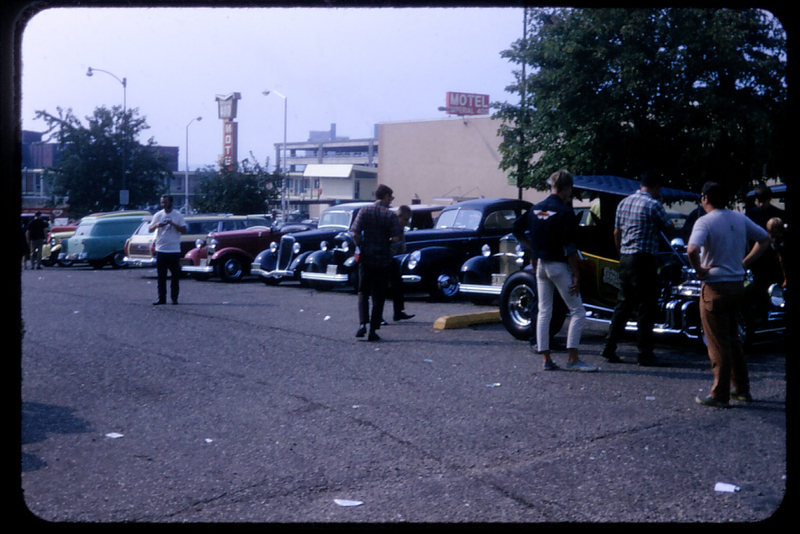 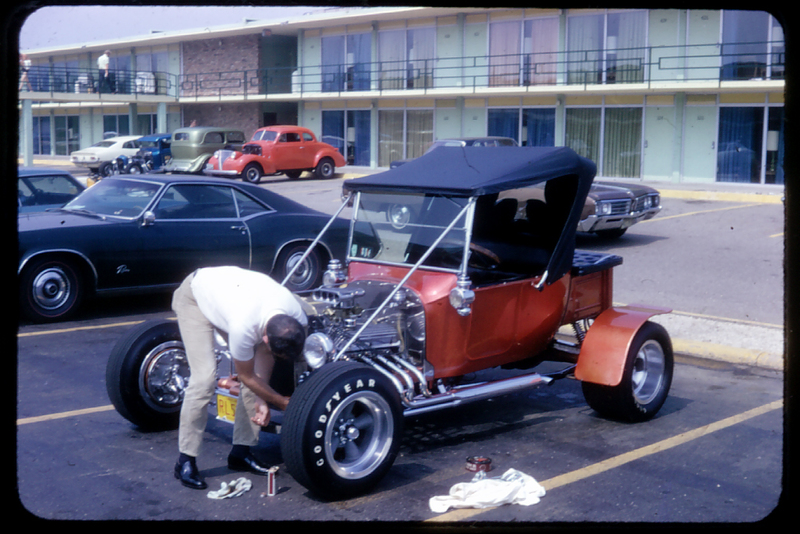 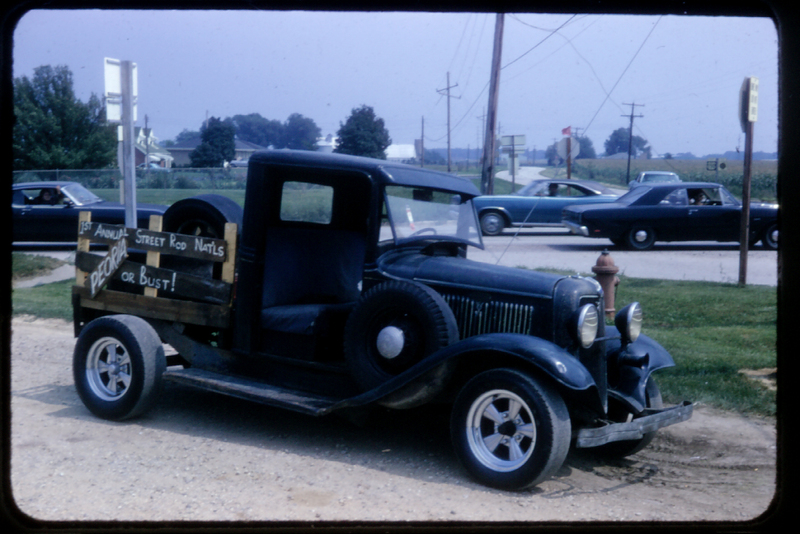 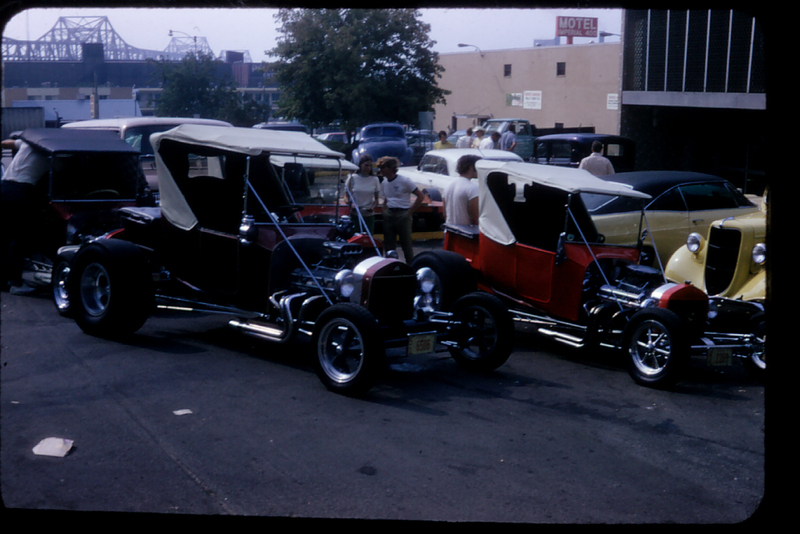 Ask any long time streetrodder what’s significant about “Peoria, IL, 1970”, and they’ll tell you it was the first Street Rod Nationals, hosted by Rod & Custom Magazine. 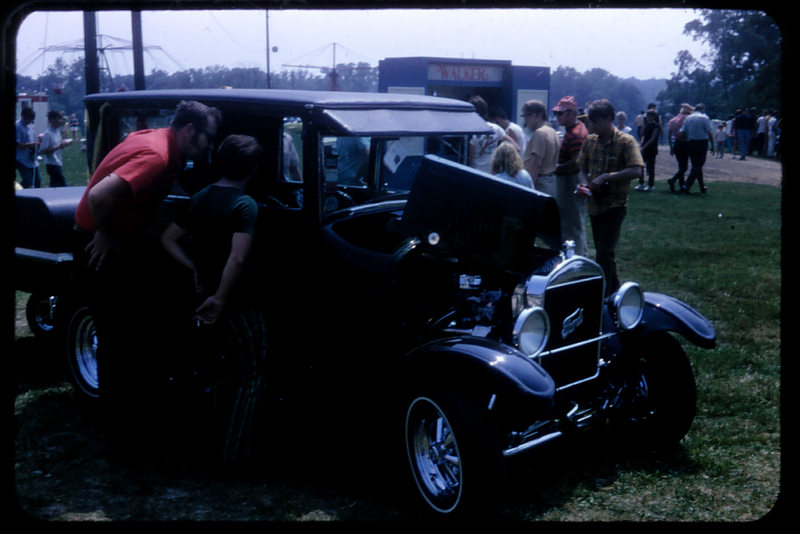 Fortunately, my dad attended, as a spectator, and I snagged his slide reel and was able to scan the photos! 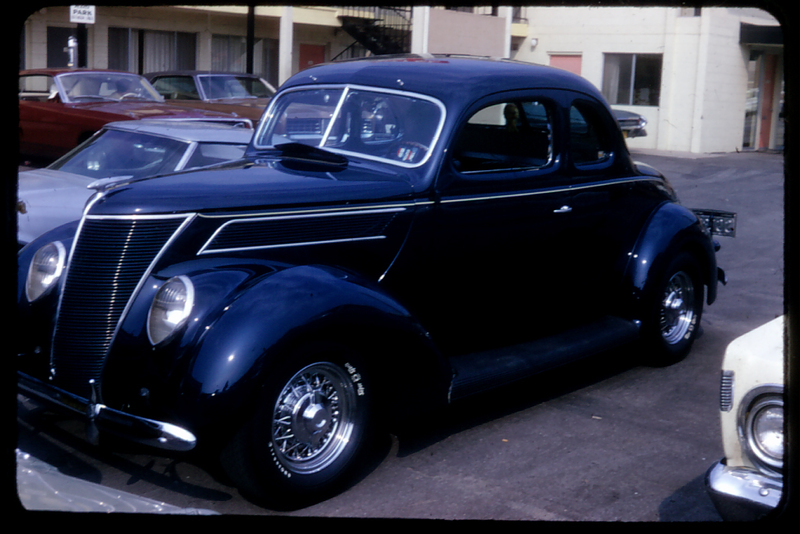 I also have his “Street is Neat” event button, hanging on the speaker grille in my ’40 Deluxe Coupe. 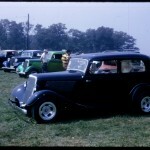 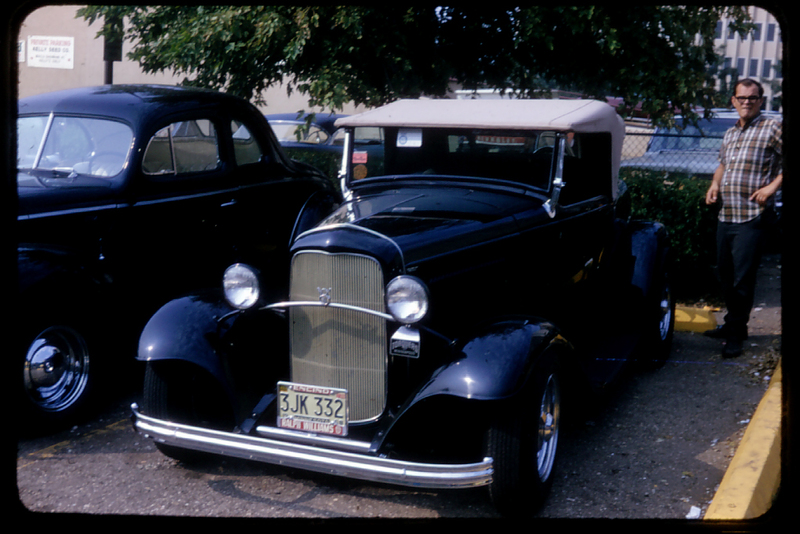 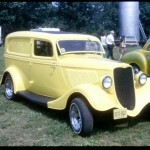 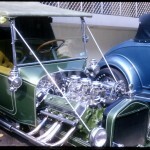 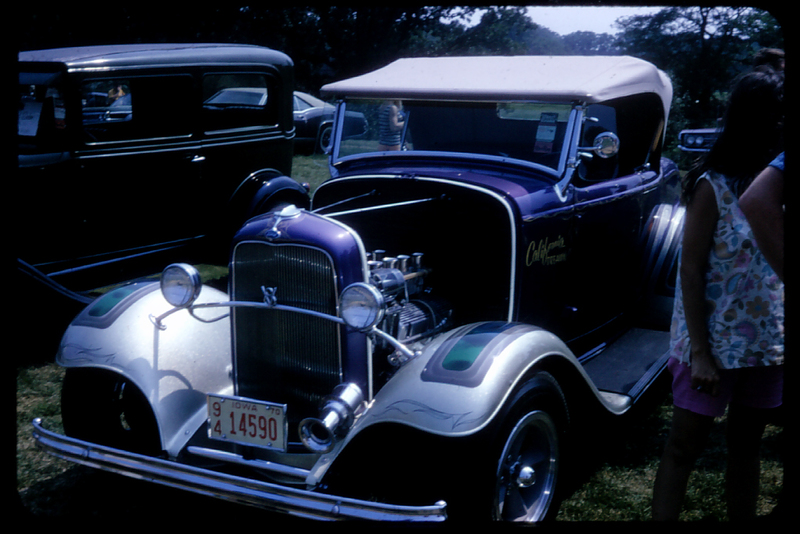 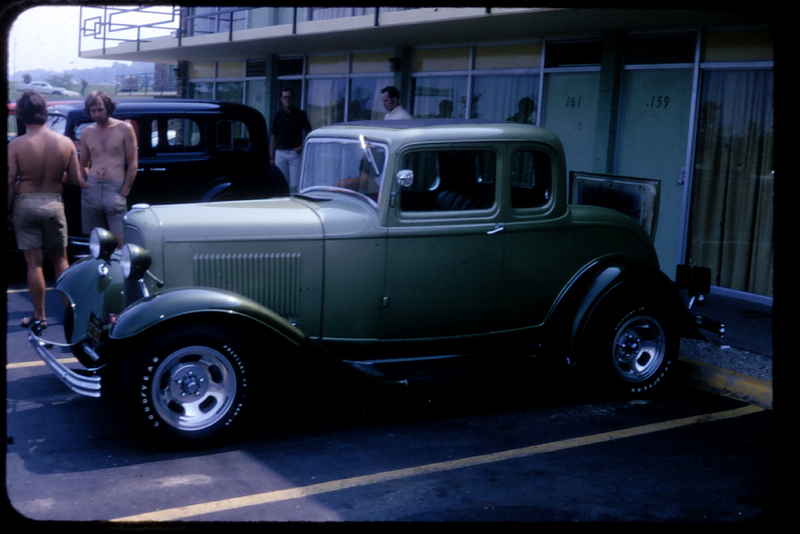 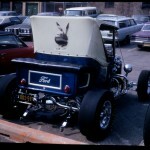 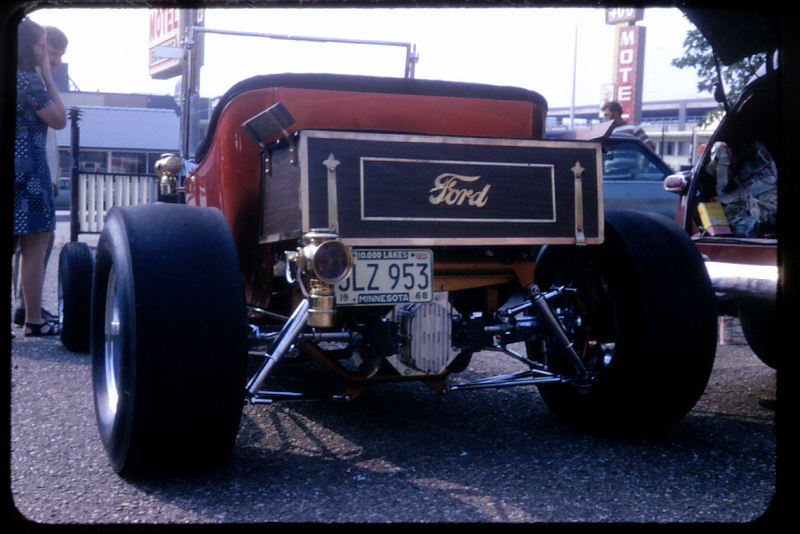 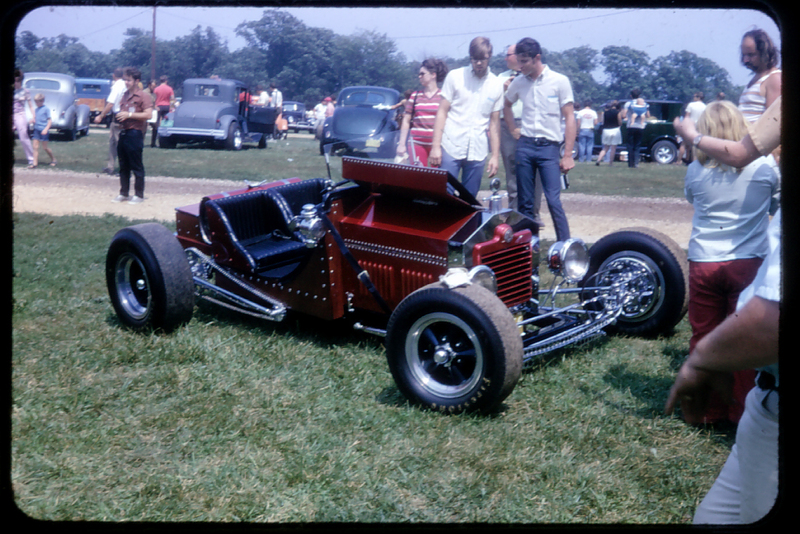 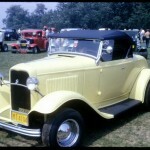 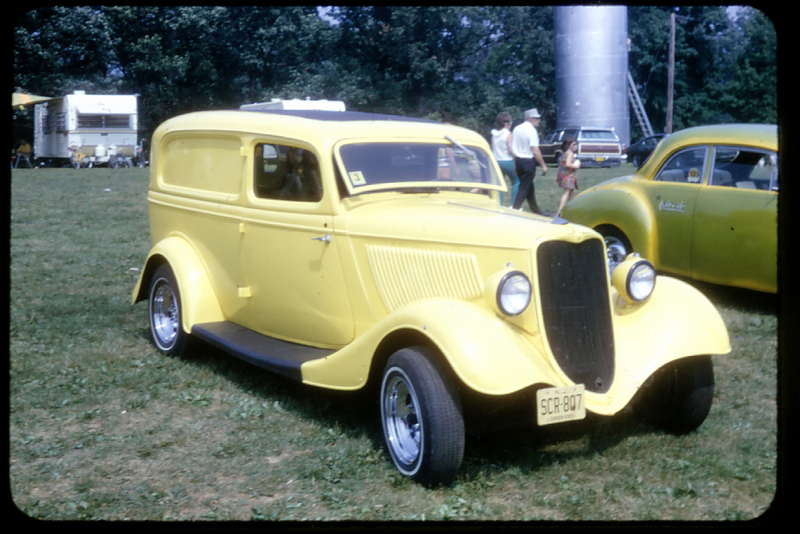 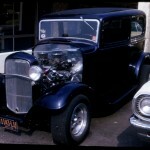 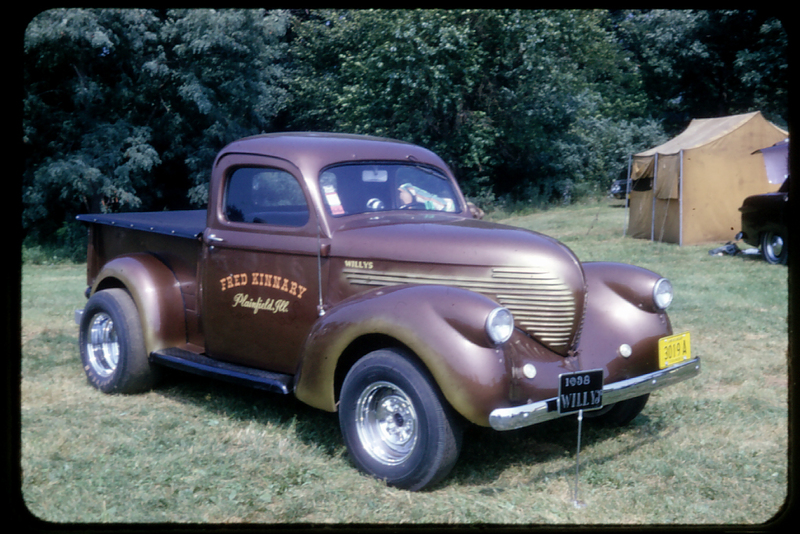 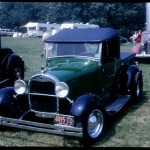 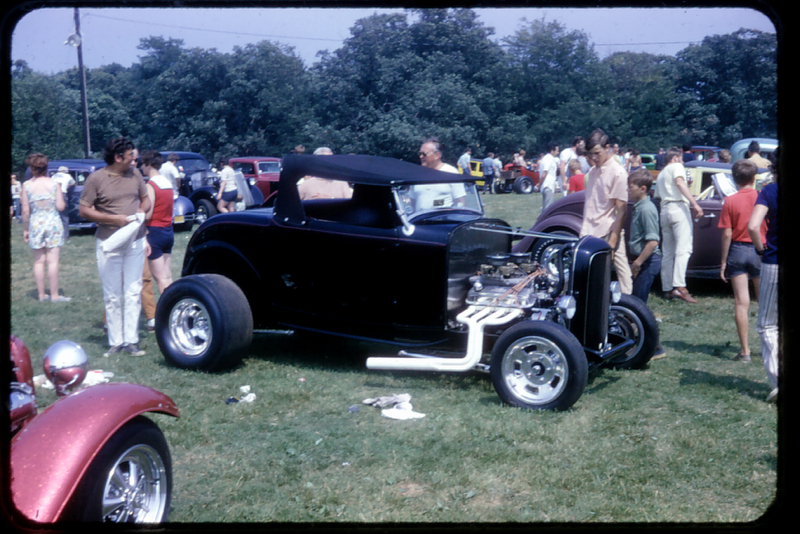 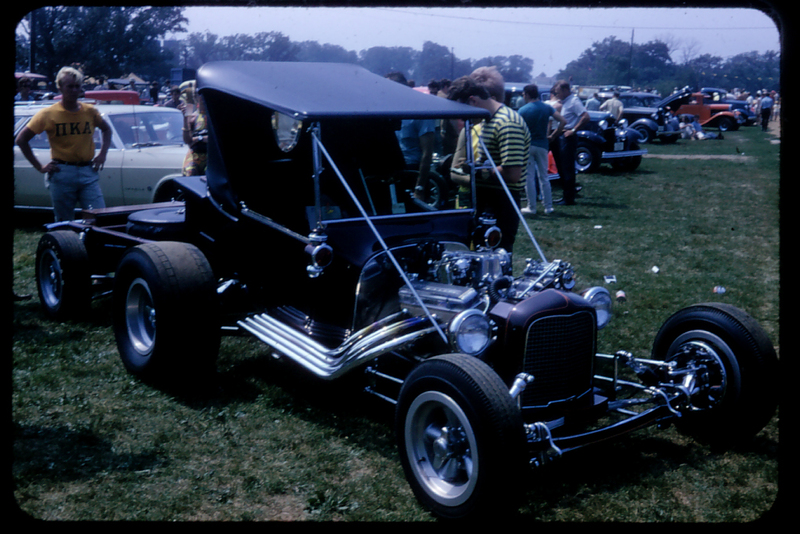 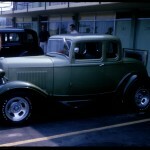 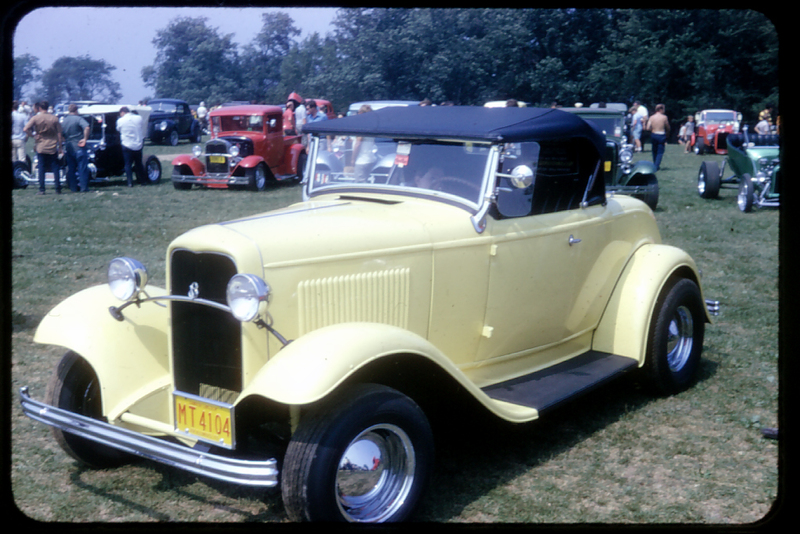 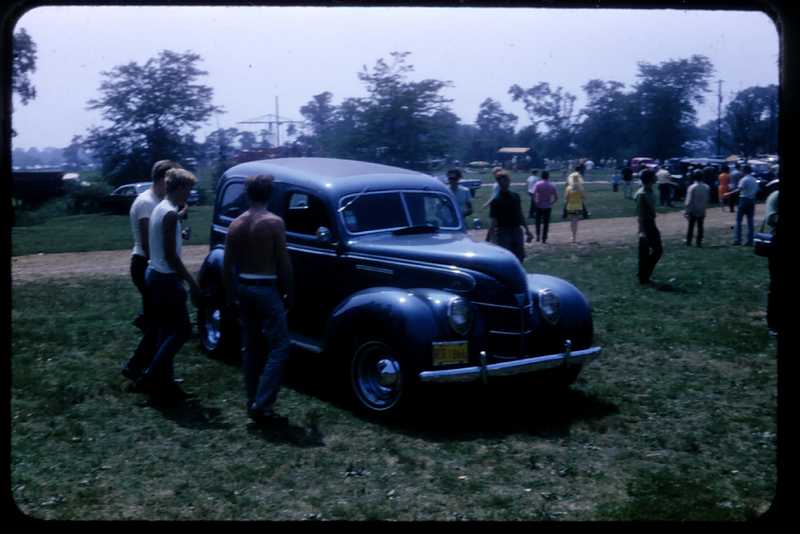 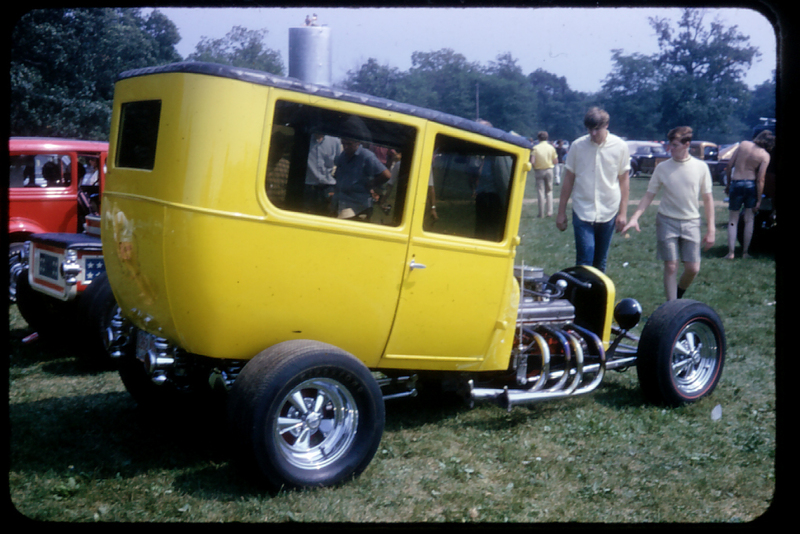 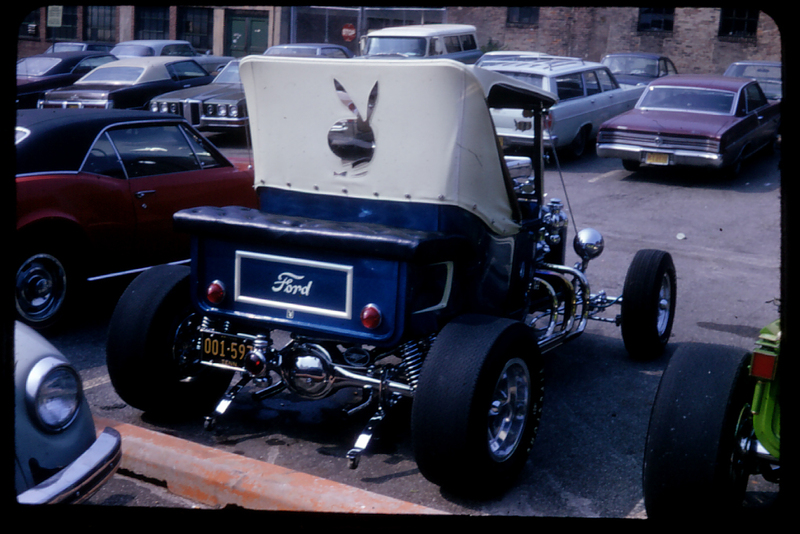 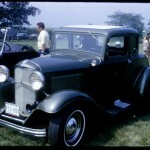 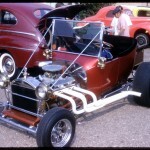 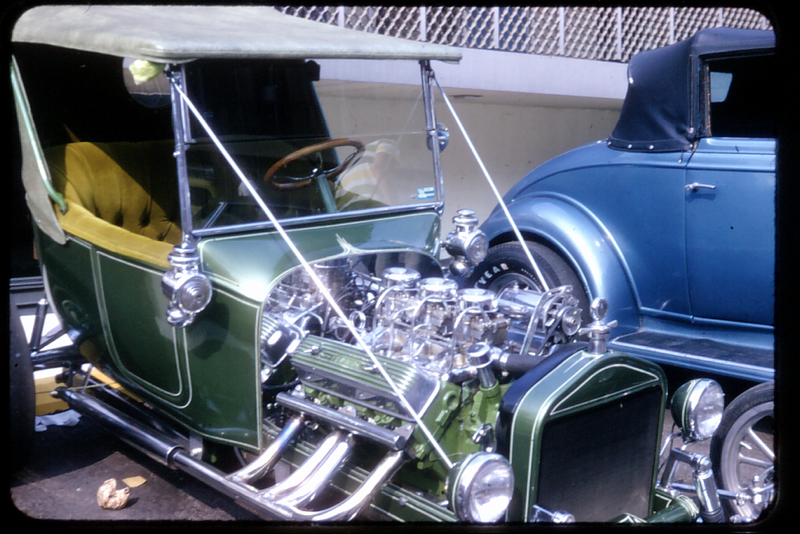 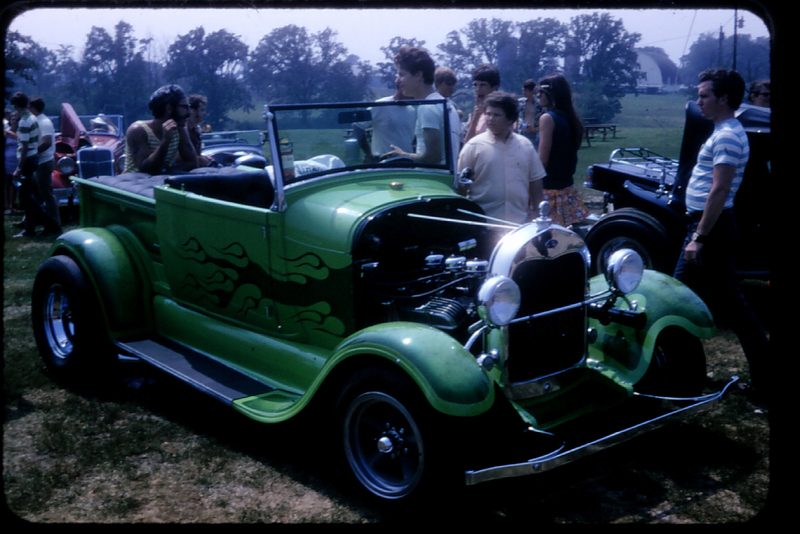 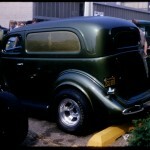 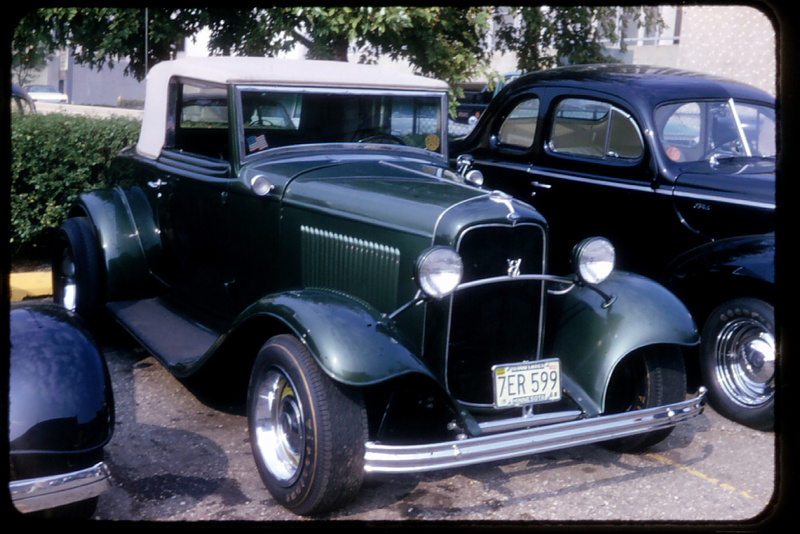 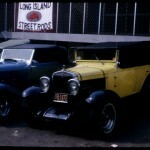 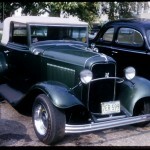 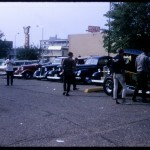 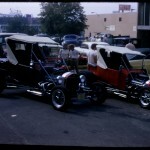 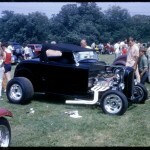 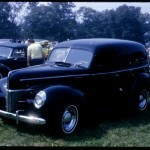 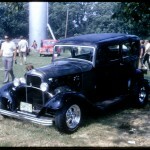 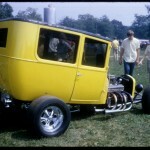 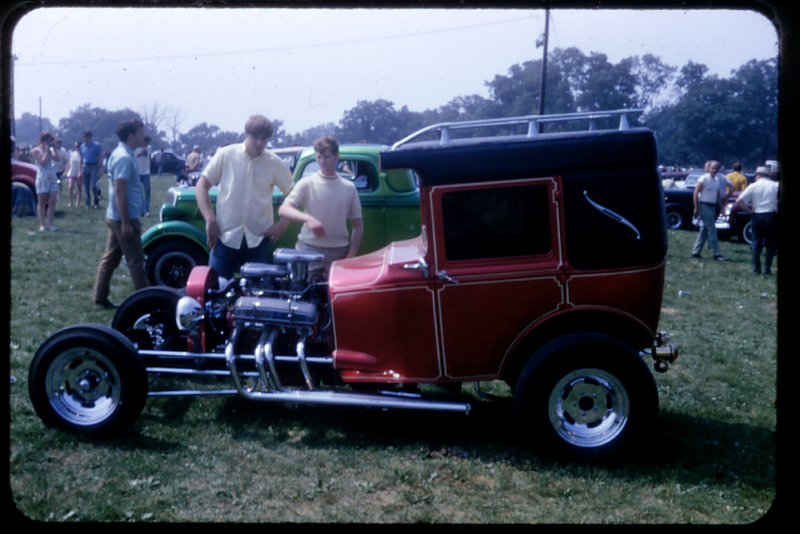 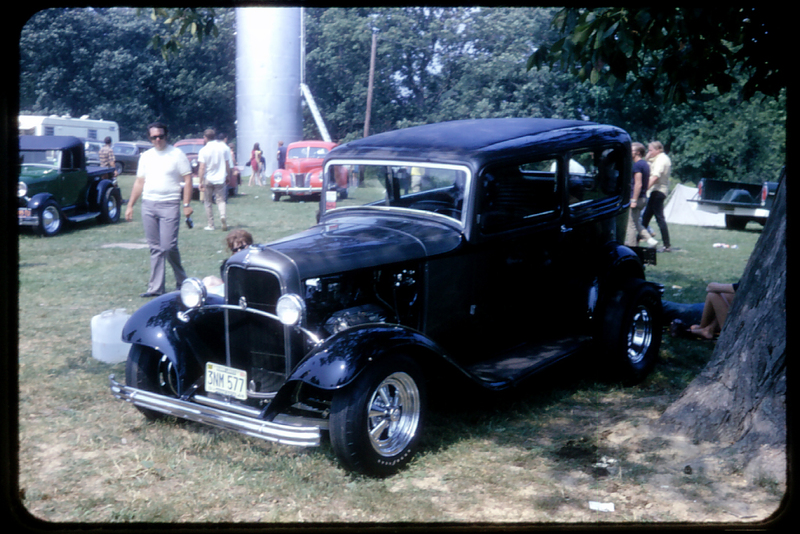 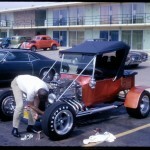 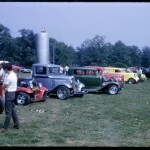 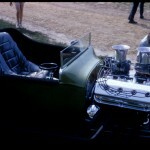 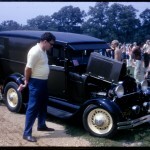 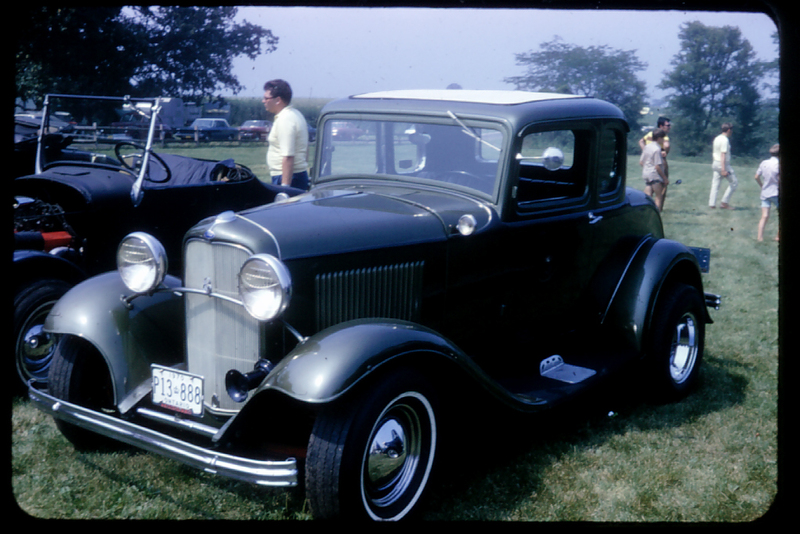 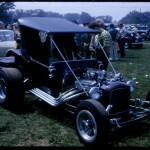 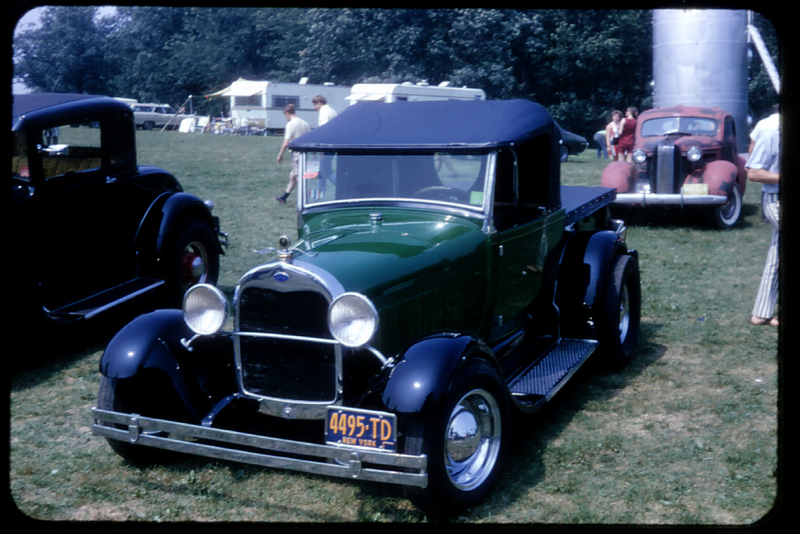 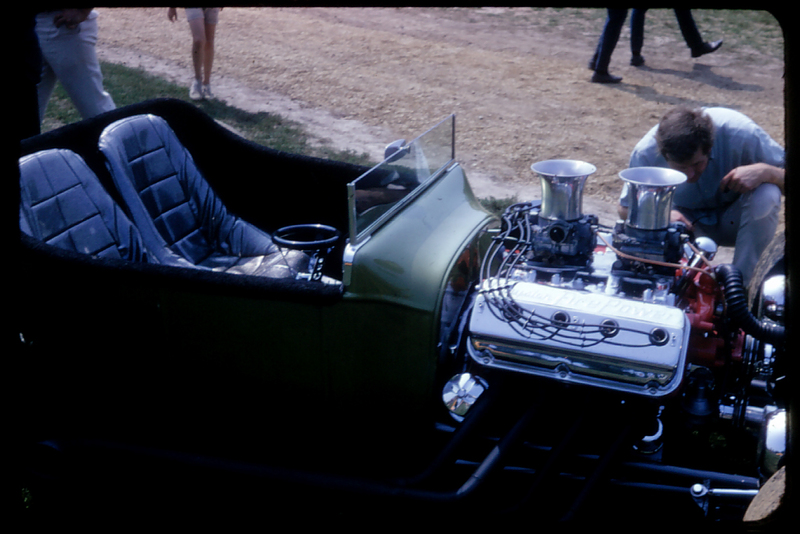 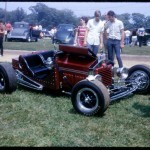 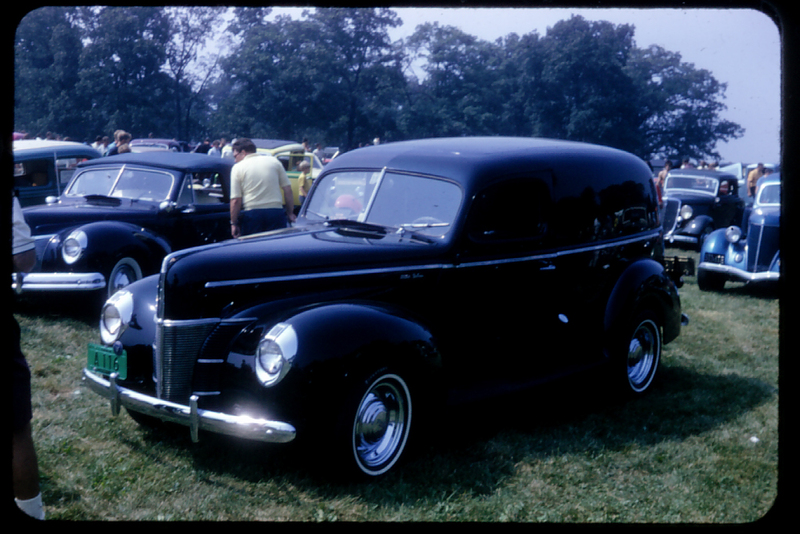 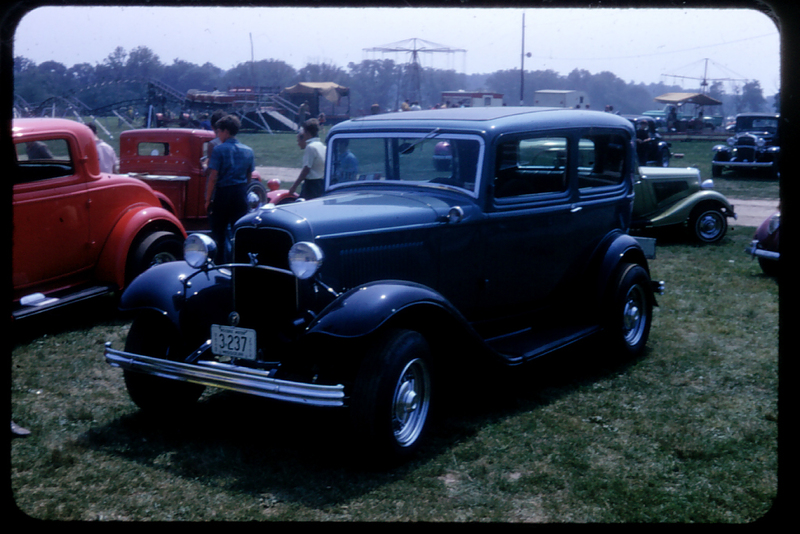 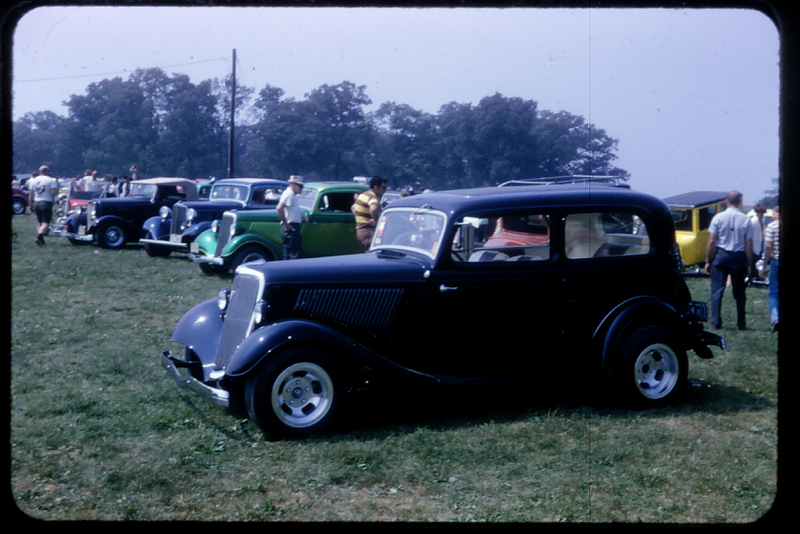 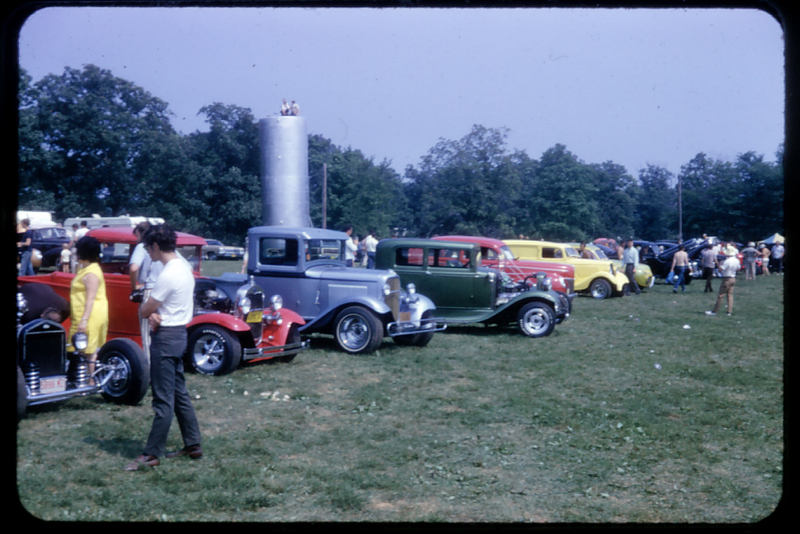 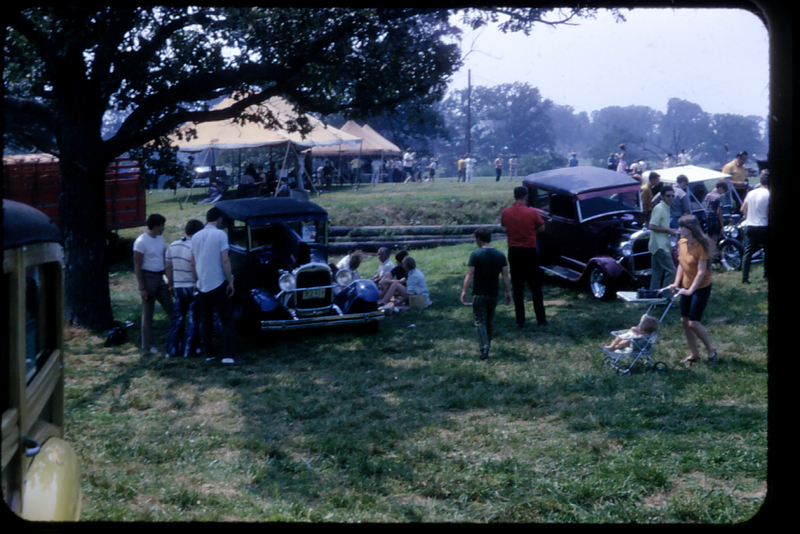 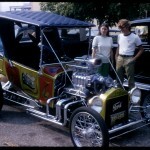 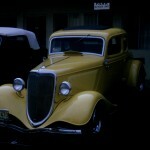 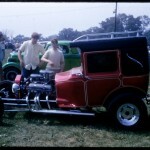 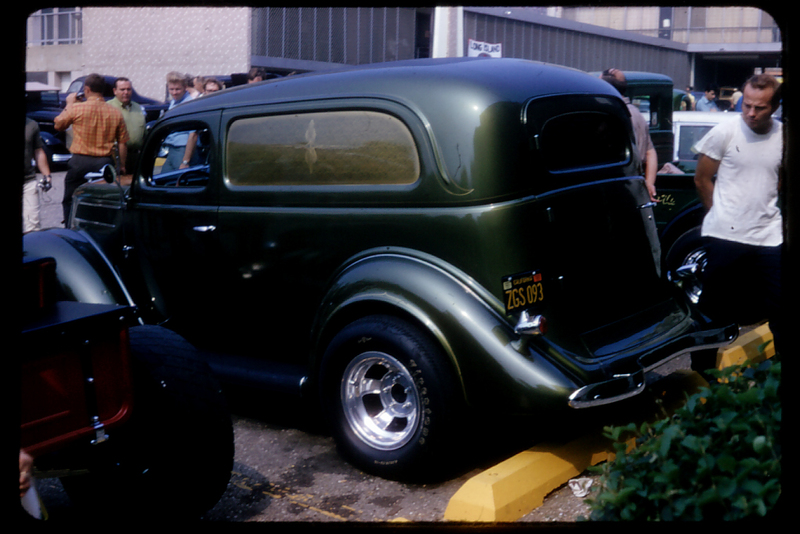 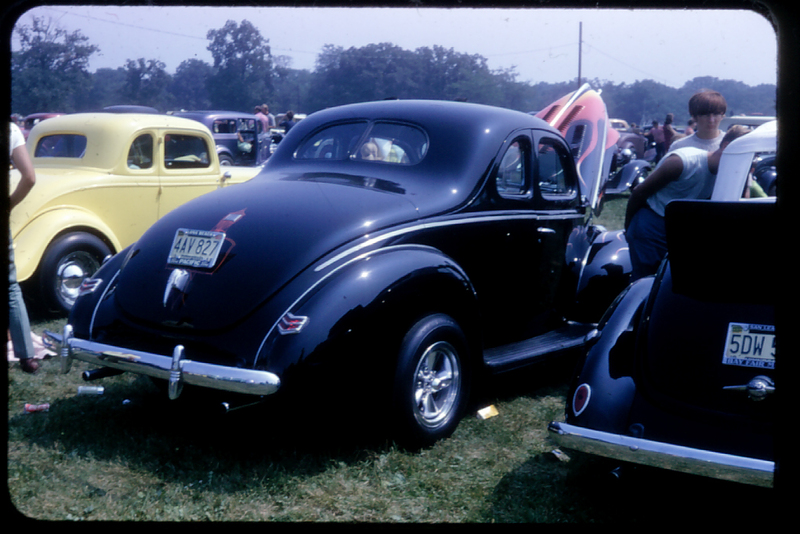 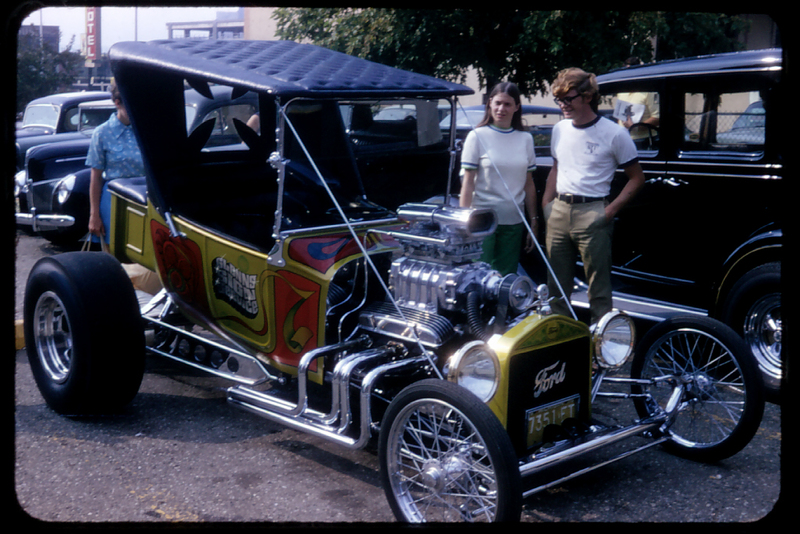 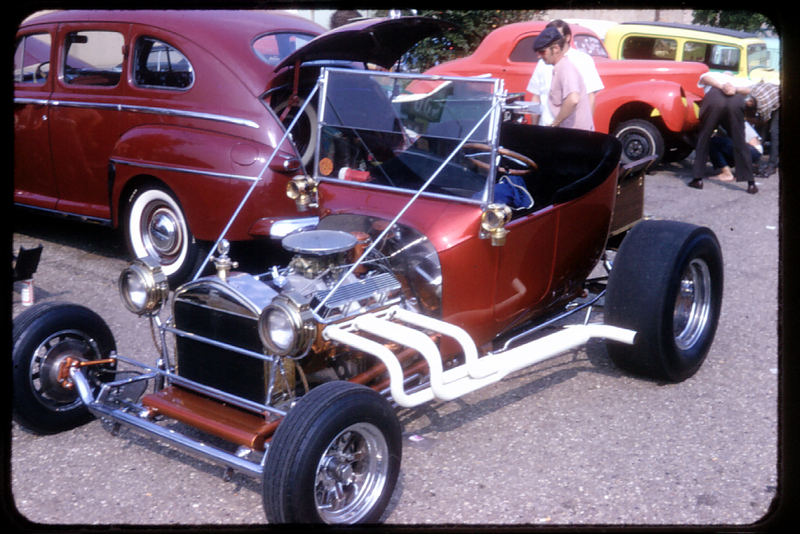 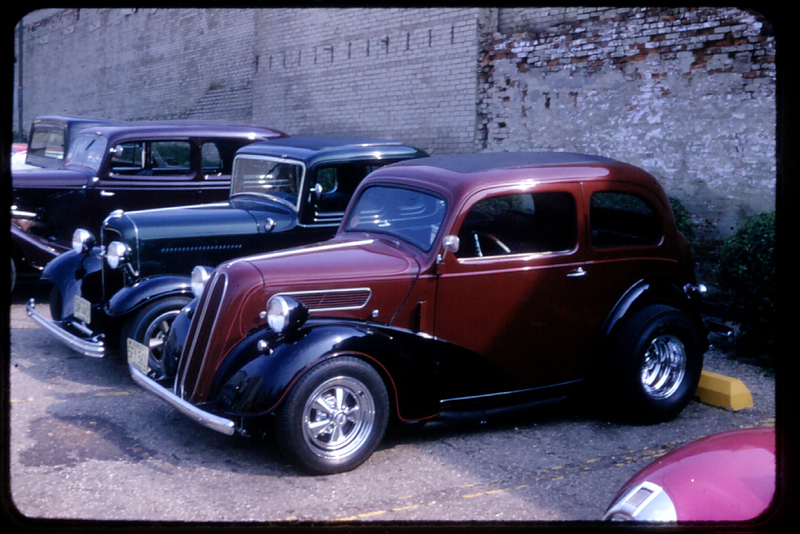 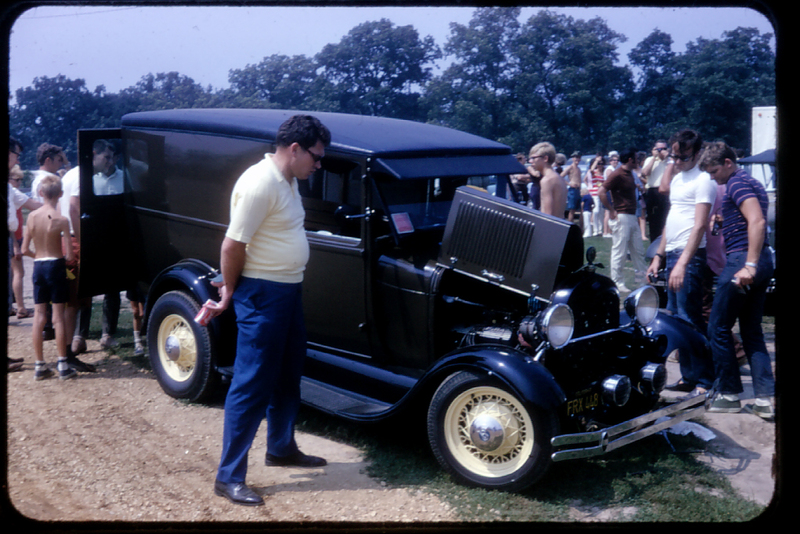 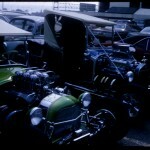 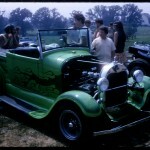 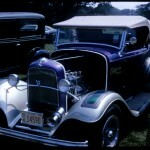 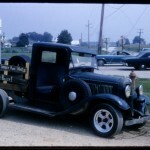 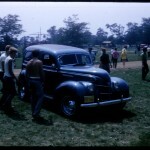 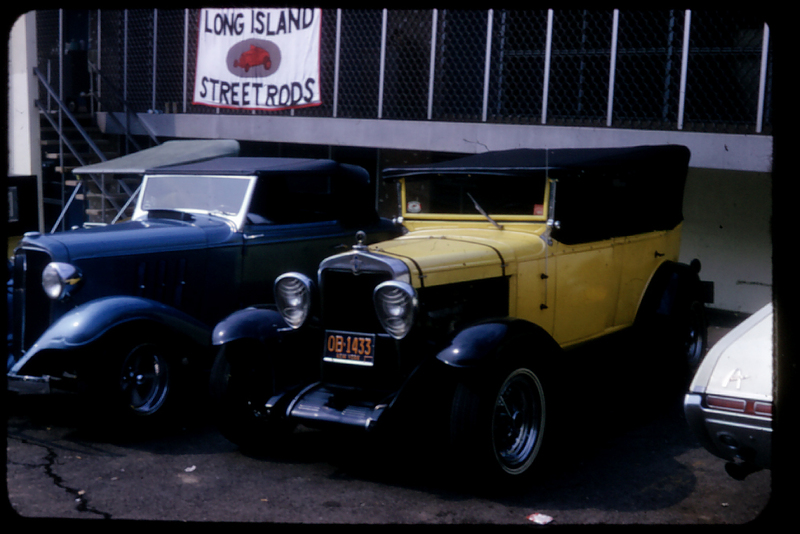 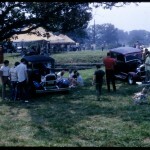 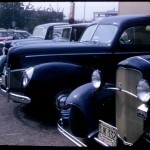 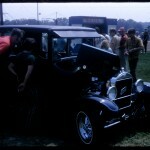 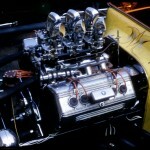 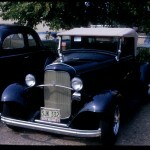 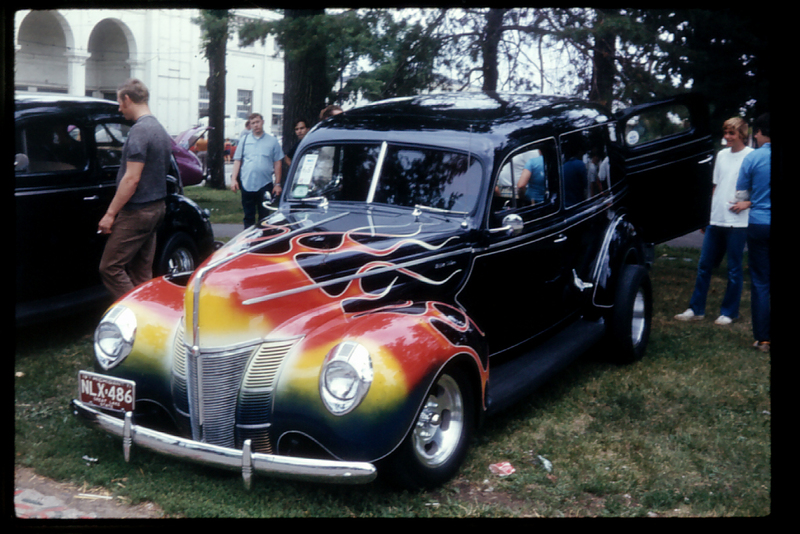 There’s very few galleries posted of the very first Street Rod Nationals, that I am aware of. 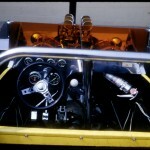 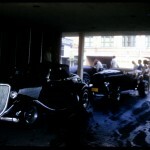 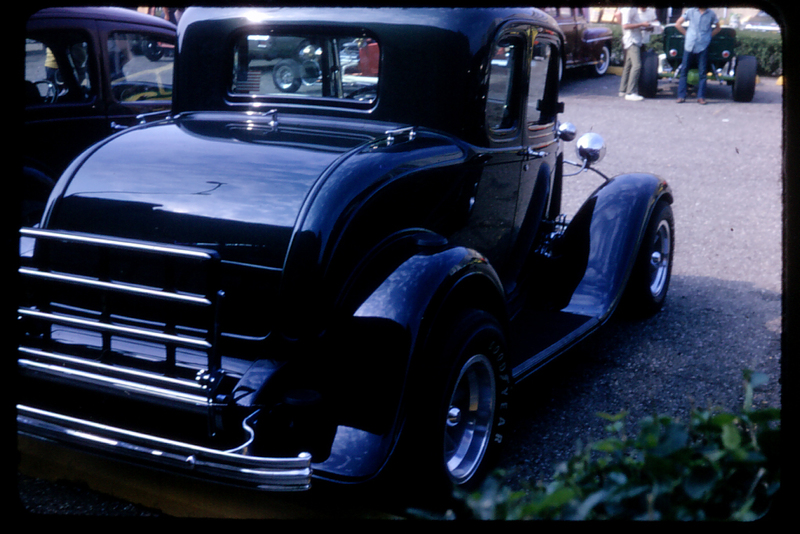 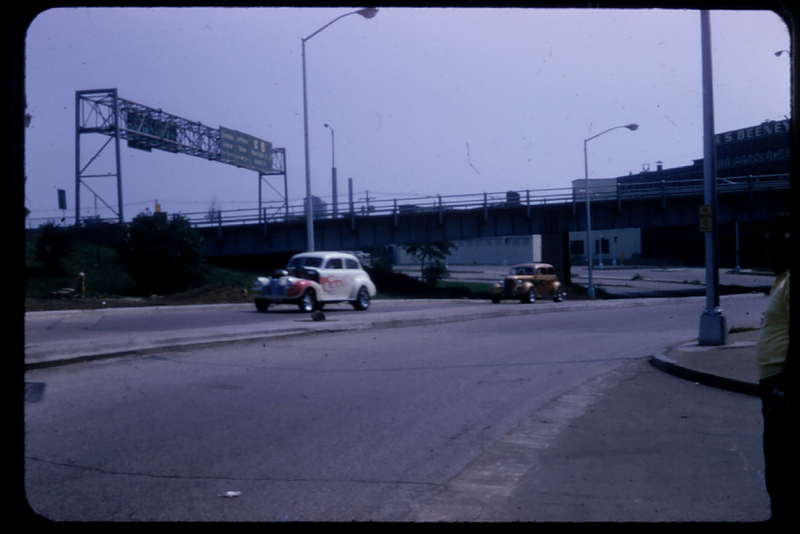 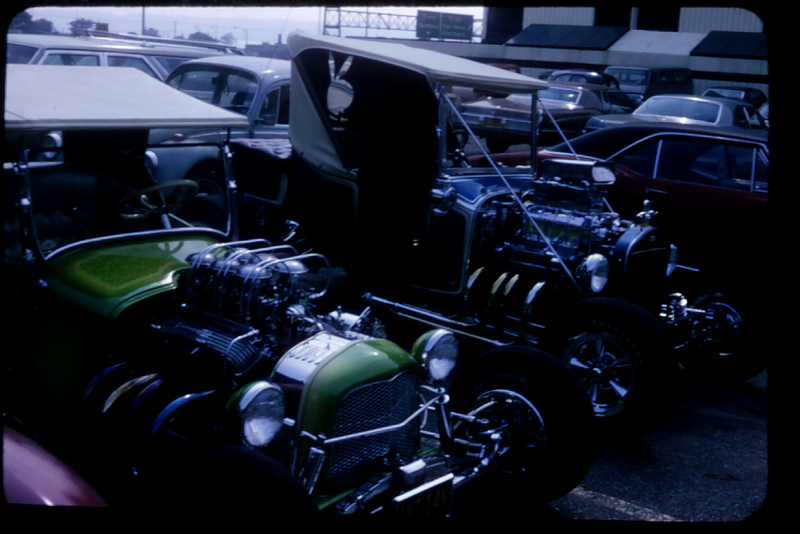 While I still had a scanner, that would scan slides, I was able to get these pictures out where the world could enjoy. 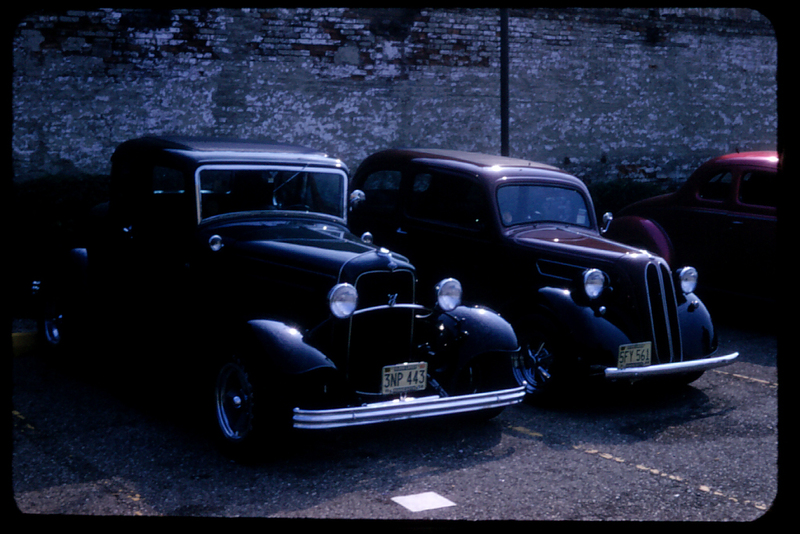 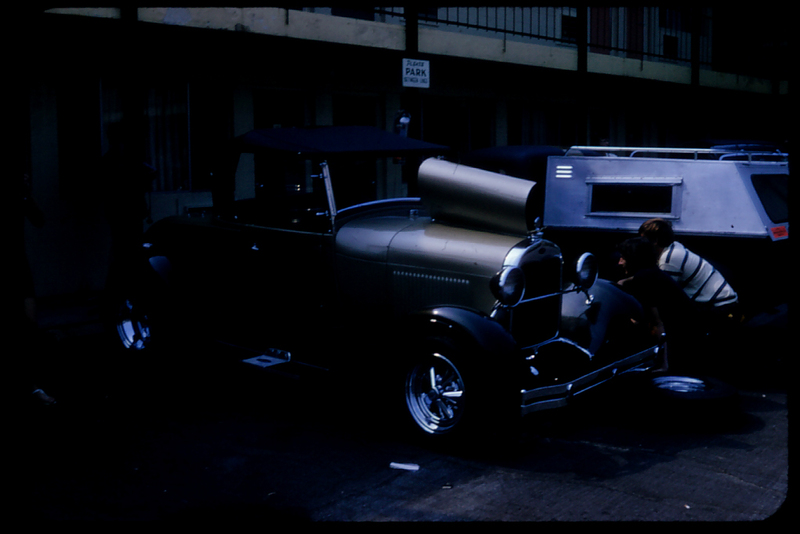 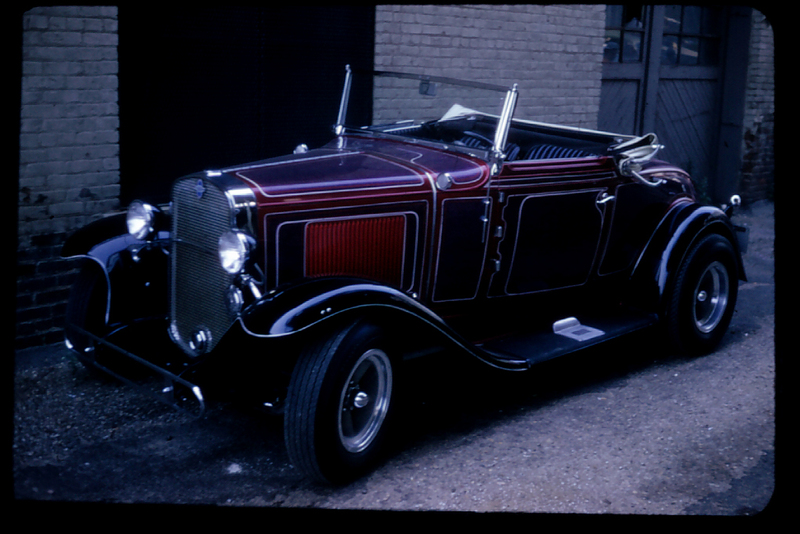 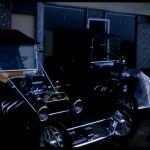 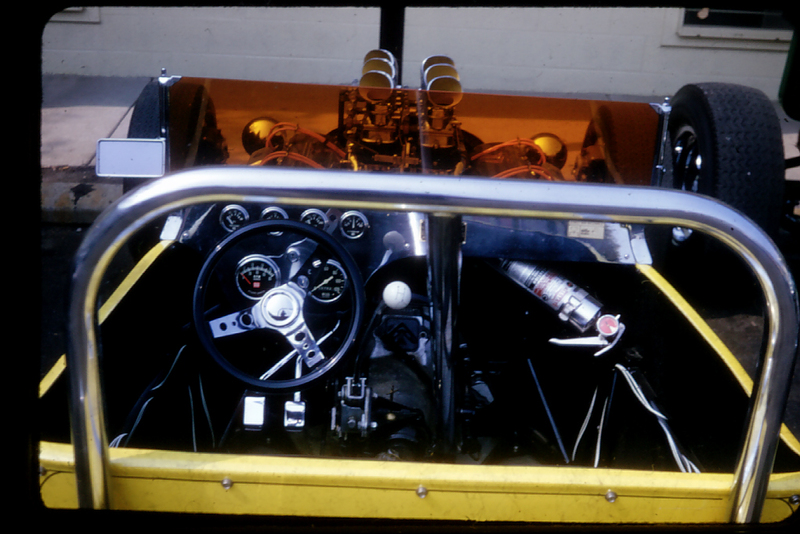 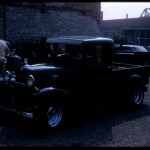 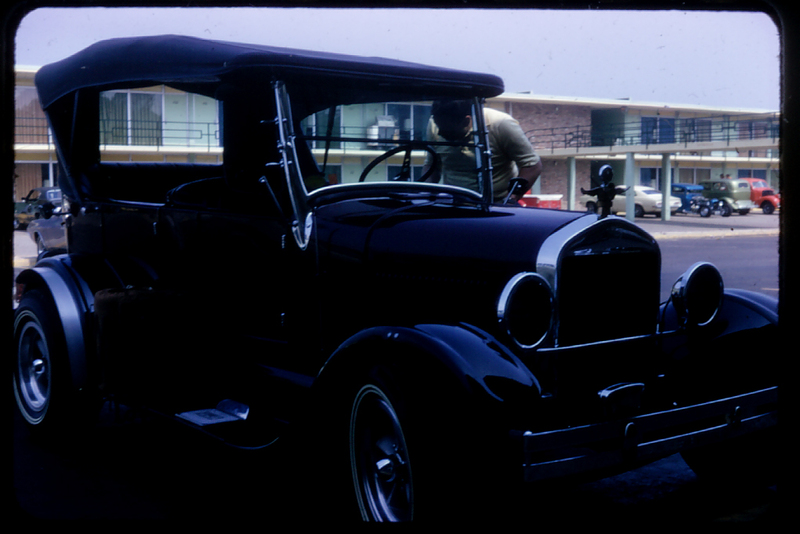 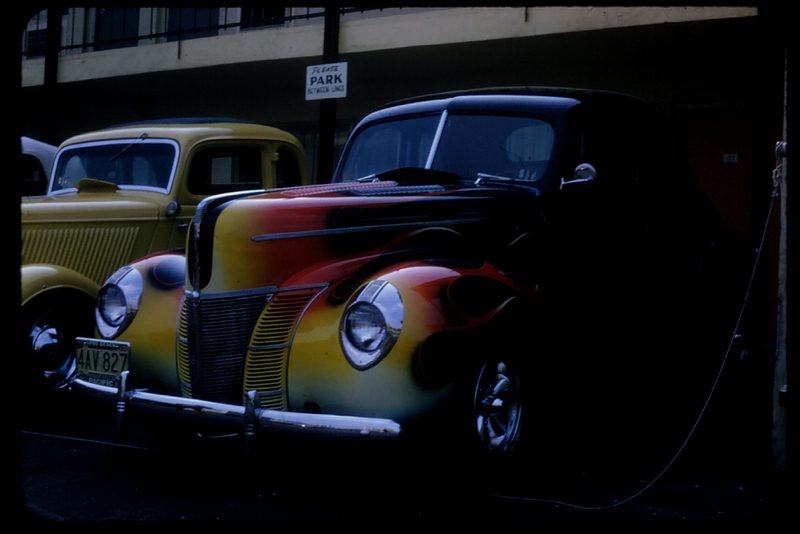 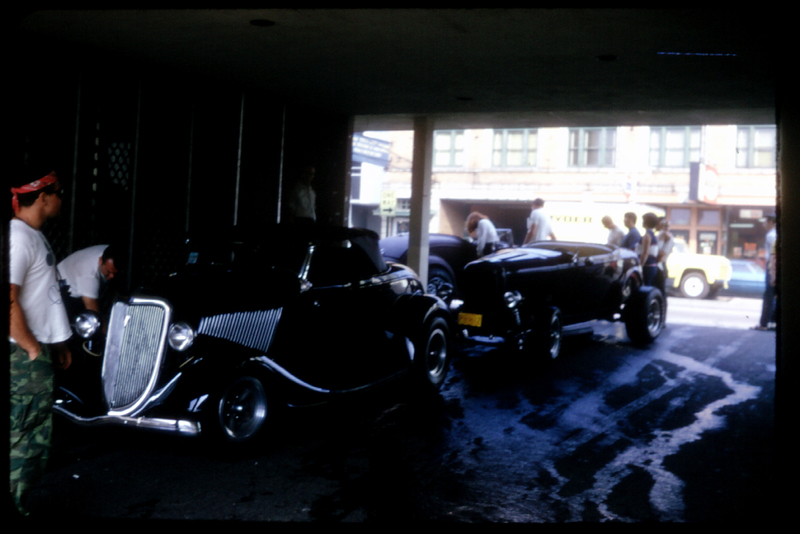 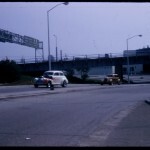 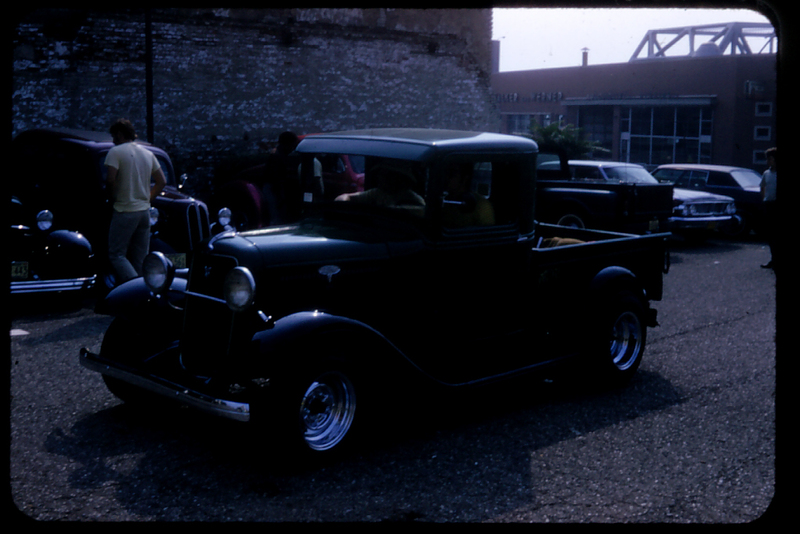 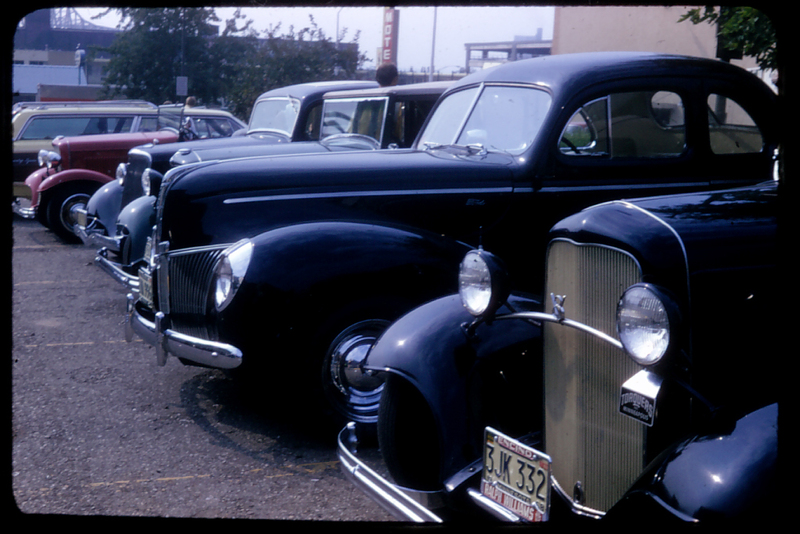 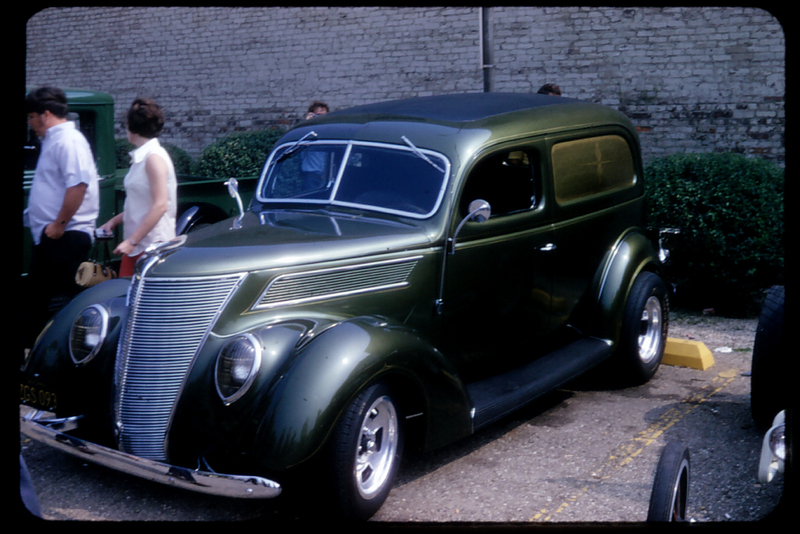 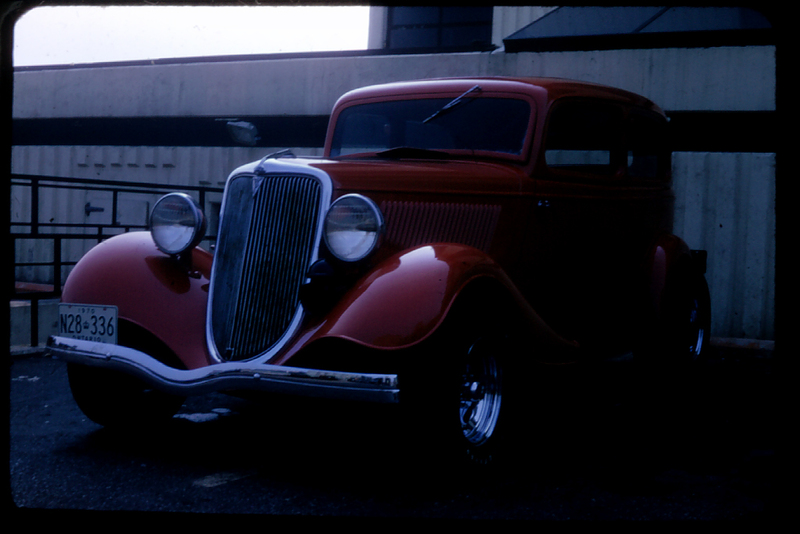 Please forgive the dark nature of several of the slides, the scanner could only do so much with dad’s camera settings! 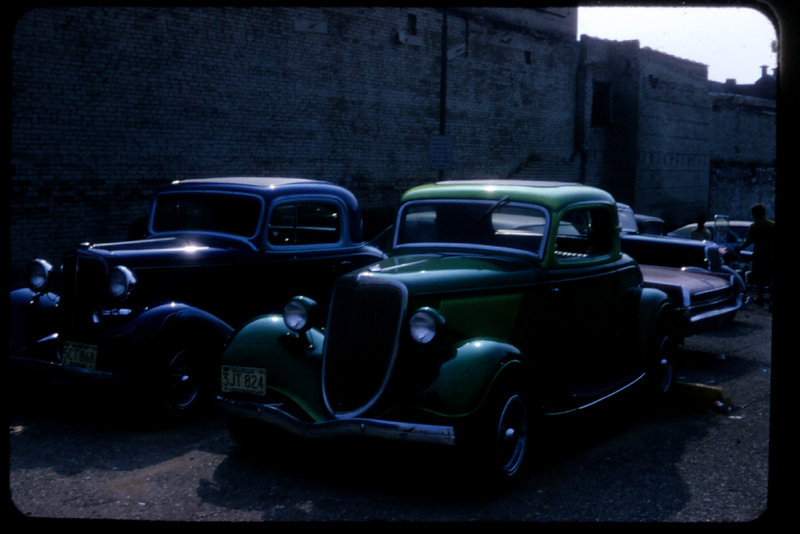 Over the years, I have had these posted on the site, but for some reason, through several software updates and my lack of attention, I realized the gallery wasn’t working any longer. 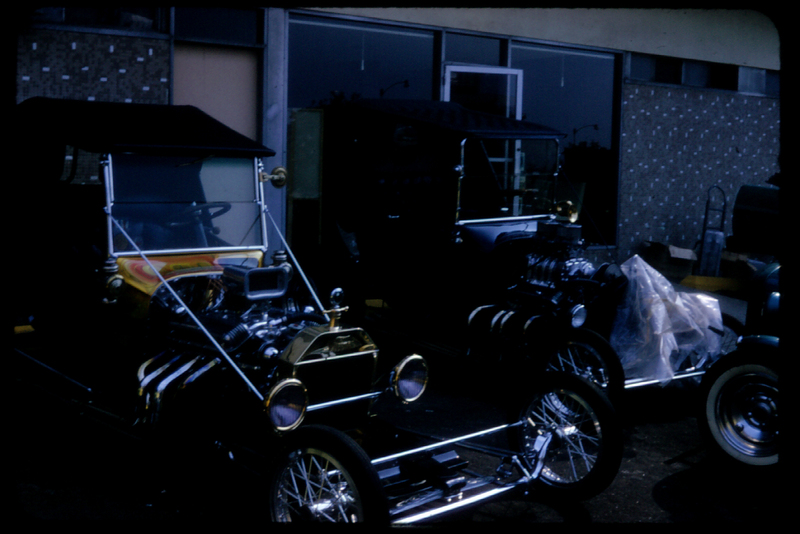 It wasn’t until a discussion on the HAMB, recently, that I found the broken gallery. 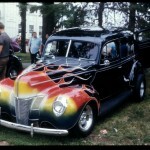 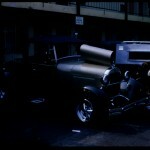 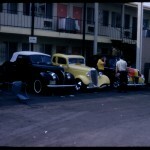 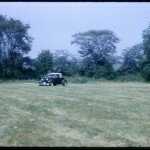 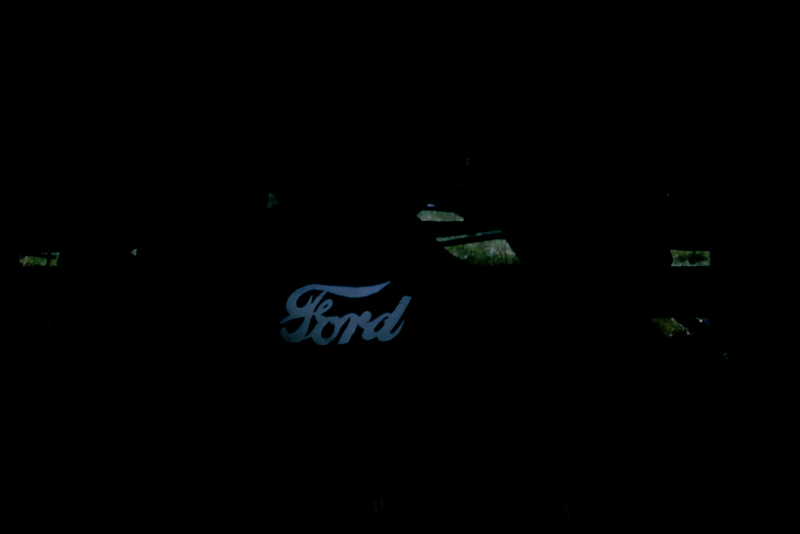 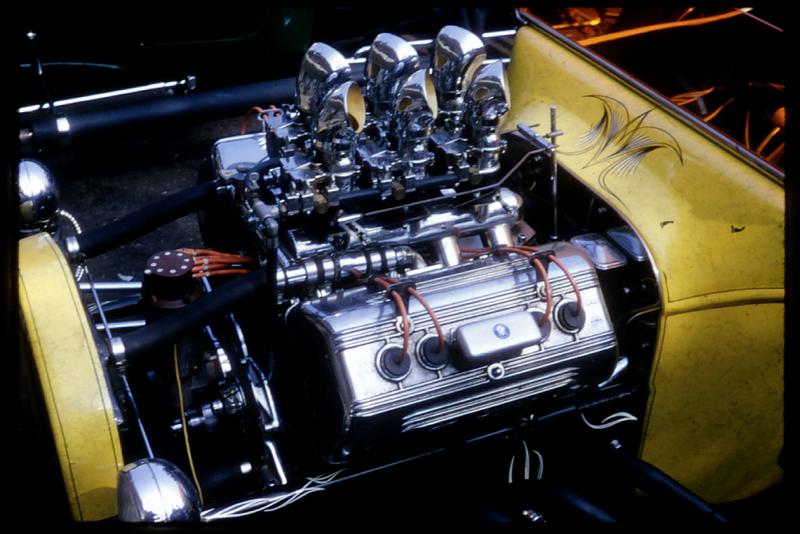 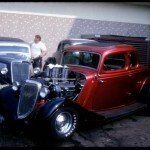 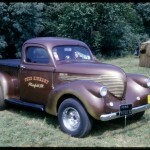 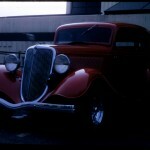 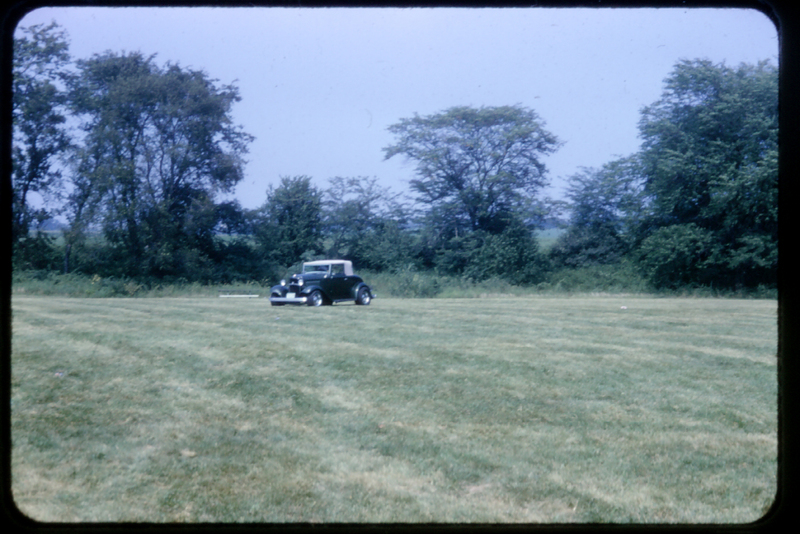 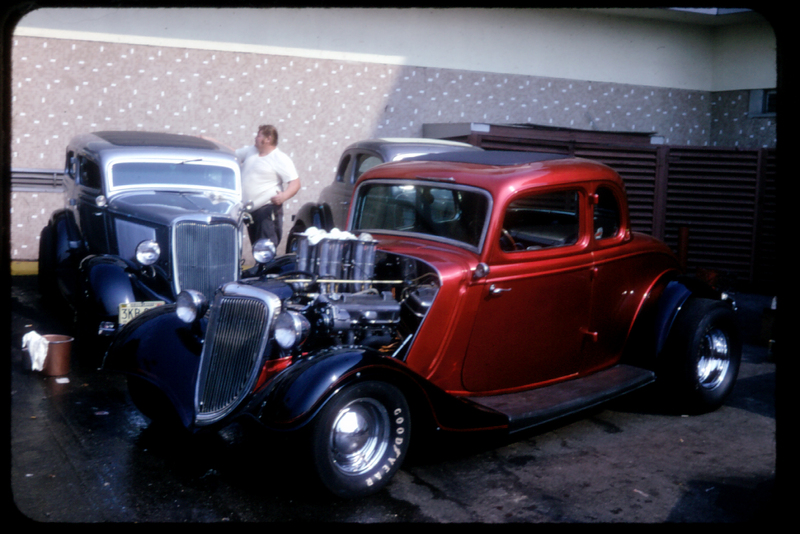 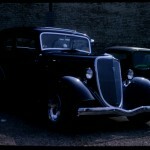 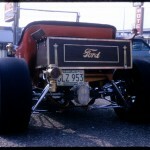 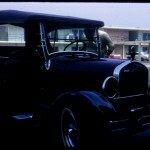 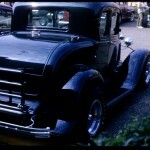 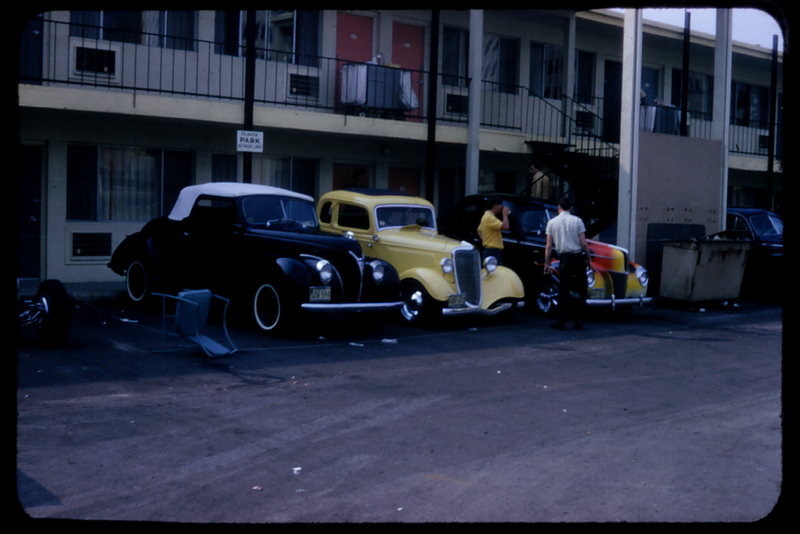 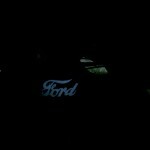 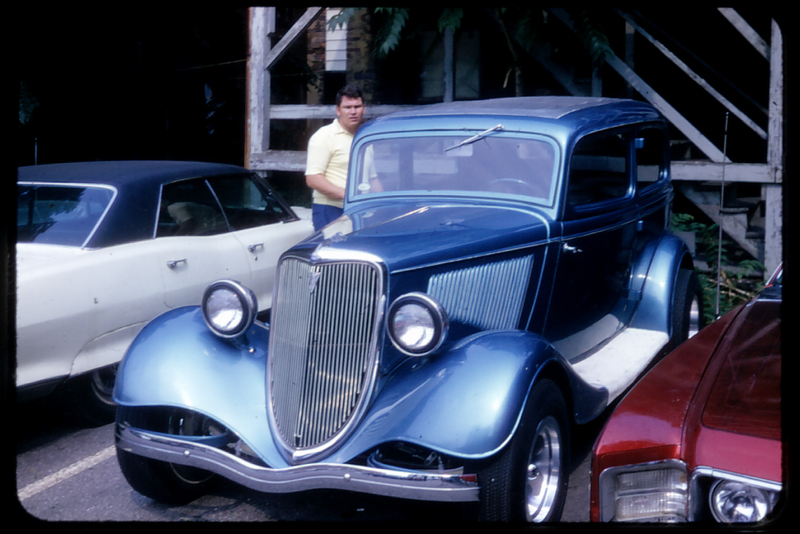 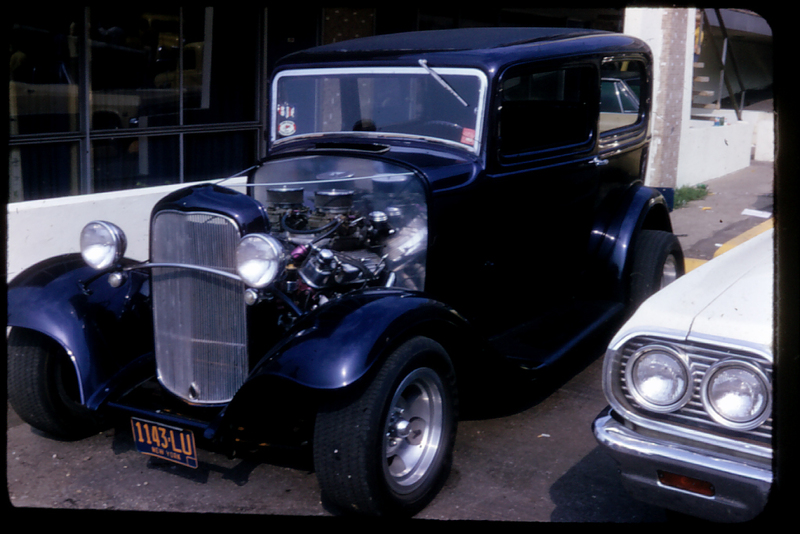 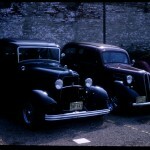 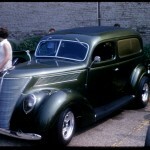 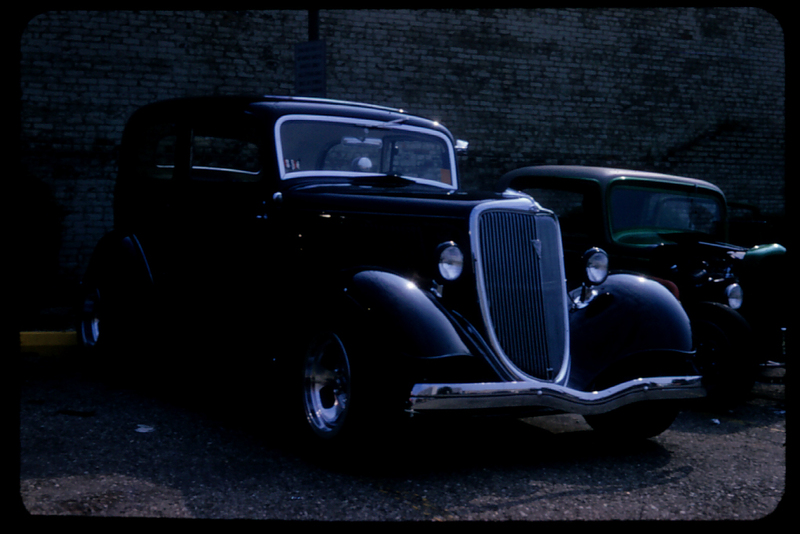 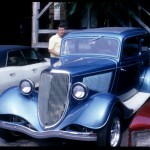 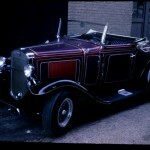 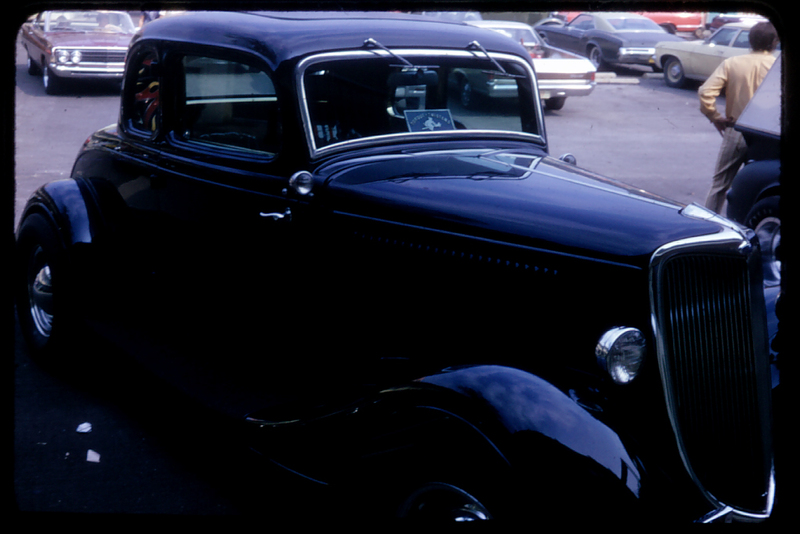 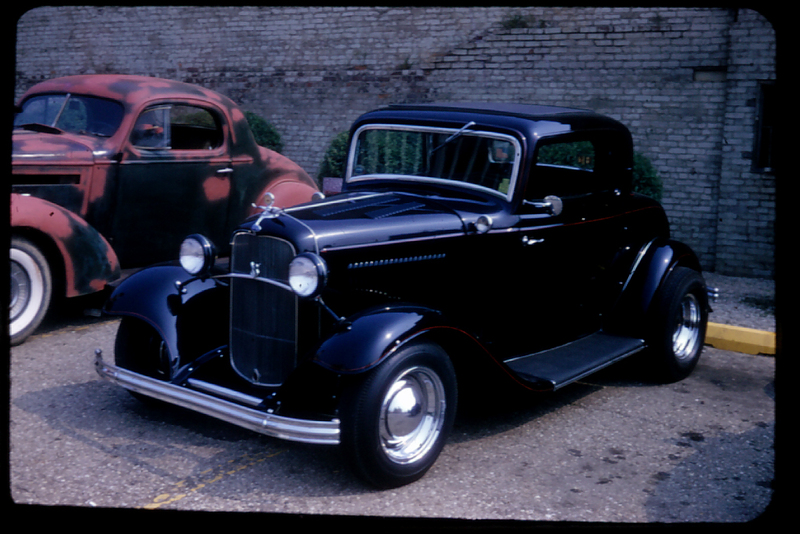 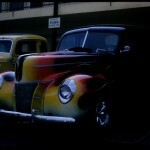 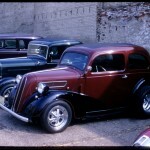 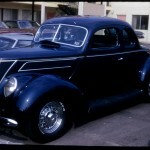 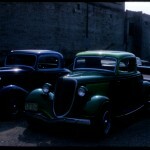 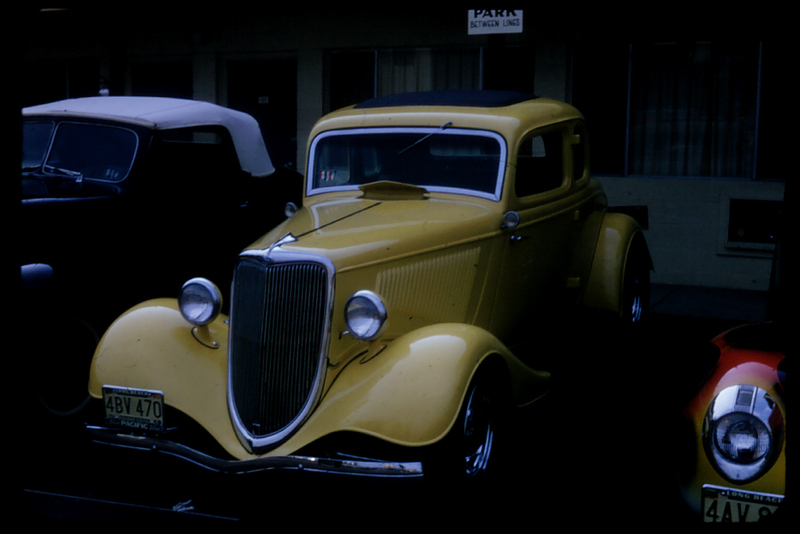 This slide show is where I first fell in love with flamed ’40 Ford coupes. 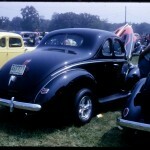 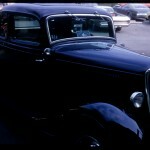 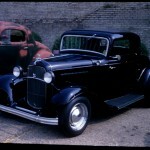 Gene Sonnen’s ’40 Coupe is one of my all time favorites!